Welcome to the unique world of Corporate Creatures™ , where puppets inhabit the corporate environment and deal with the same issues that your company and its employees face every day. 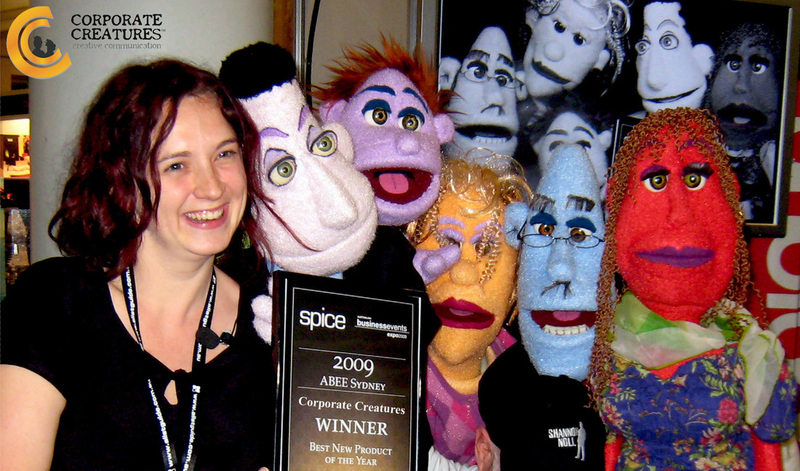 Corporate Creatures™ harnesses the powerful age-old tradition of puppetry with a 21st century makeover to communicate issues within the business environment. While the puppets themselves are larger-than-life, their workplace and the situations they face are easy for everyone to relate to. By using the puppet, we provide a non-threatening format in which the audience is entertained while the key messages are still being strongly communicated. We can also effectively tackle sensitive subjects such as bullying and sexual harassment in the workplace. Watch the Corporate Creatures full pilot here! Corporate Creatures™ is ideal for skills training, presentations and marketing your products and services. 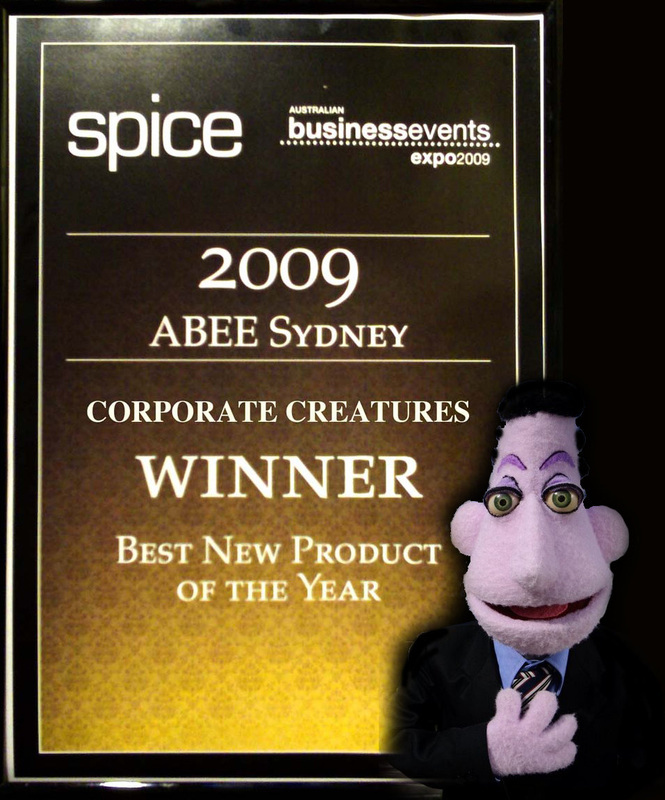 In 2009, Corporate Creatures won the 'Best New Product of the Year Award' at the Australian Business Events Expo, in Sydney. Con Quest happily excepted the award on behalf of the Creatures. You can view a short extract of the ceremony here! You can view the other Corporate Creatures films on their Vimeo channel here!